Her mom was the candidate behind the most radical pro-abortion shift in the Democratic Party. Now, Chelsea Clinton wants everyone to know -- we haven't seen anything yet. In an interview sure to put Americans' jaws on the floor, Planned Parenthood President Leana Wen sat down with Bill and Hillary's daughter and talked about abortion as casually as if they were comparing laundry detergents. This procedure -- this gruesome, deadly, wildly unpopular procedure -- Chelsea argued, "is part of the fabric of our country." Wen agreed, saying that we should approach this kind of health care "from a social justice lens, valuing each person and their choice." Unless, of course, that person happens to be inside the womb -- or seconds out of it. In one of the sickest, most bizarre moments of their chat (and there were plenty), Wen had the gall to argue that killing children is actually "pro-life." "Our nurses," she went on, "our clinicians -- they're all here because we believe in life. Being pro-choice is being pro-woman. It's being pro-family. It's being pro-community. It's being pro-life." Whose life, no one is quite sure since the organization ended 332,757 of them in 2017 alone. That's like wiping out the population of St. Louis. Suddenly, the "fabric of our country" looks like a massive pile of burial clothes. But Wen and Clinton persisted -- ignoring the overwhelming majority of Americans (77 percent) disgusted by their extreme positions. "First and foremost, it's about our safety. 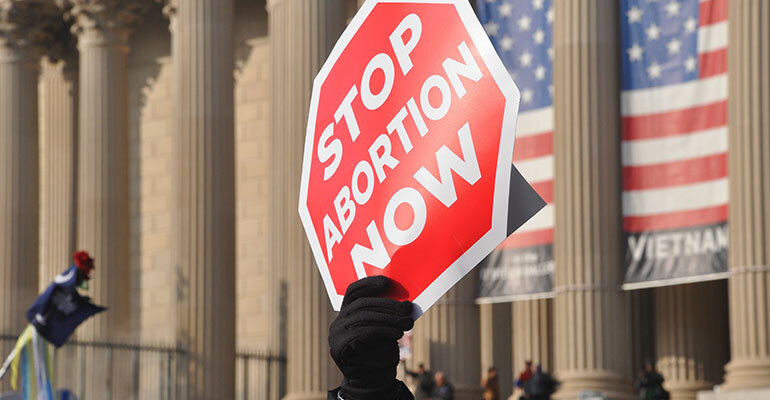 We know what happens when abortion is illegal." But do they know what happens when abortion is legal? When groups like theirs fight to keep monsters like Kermit Gosnell in business? Don't talk to us about safety when thousands of women are visiting third-world clinics with rusty instruments and blood-stained floors because Planned Parenthood is trying to stop state inspections and regulations. Thanks to Wen's organization, most moms are sitting in abortion clinics that are less regulated than a tanning salon. Legal doesn't make it safe. Planned Parenthood has seen to that. There was also great irony in the daughter of the parents who coined the phrase "safe, legal, and rare" nodding appreciatively as Wen talks about abortion like a rite of passage. "An abortion is a normal, common experience," she says -- like having your wisdom teeth pulled. But there's nothing normal about killing. There's nothing "normal" about taking an innocent life -- and ripping it apart limb from limb. But in the 23 years since Chelsea's dad first uttered those words, we've gone from "safe, legal, and rare" to "normal, common, and free." What's next -- a presidential candidate that promises an abortion in every pot? Would that really be so surprising in a party that thinks we should treat born children like medical waste? This is, as Senator Ben Sasse (R-Nebr.) told me yesterday, "the bizarre cultural moment we're at." On Monday, in the middle of a nationwide revolt against abortion, Senate Democrats have given every indication that they will vote for legal infanticide. This is where their years of abortion extremism leads -- to a place where throwing away a perfectly healthy baby that thousands of couples would give anything to have is nothing but a personal choice. "I'm as pro-life as anybody could possibly be in the United States Senate," Senator Sasse told me, "but this bill is actually not about abortion. This bill is about a baby that has survived an abortion and been born alive and is on that table -- cold and fighting for life and crying out. This is about the practice that's known as 'backing away,' where the abortion providers back away from the table and leave the baby to die by exposure to the elements... We should be providing the same level of care to these babies that we would to any other baby at the same stage..."
This is, as Sasse said, "some pretty basic stuff." "There's nothing here that should be controversial or that should require any courage. What we're talking about is [whether] a baby is a baby. It should have nothing to do with your politics. It should be about if you have a heart. Do you believe that a baby [who's] been born alive has a right, and has dignity, and has worth? "I've been fighting for three years to get a recorded floor vote for the Born-Alive Abortion Survivors Protection Act... This should be the kind of thing that passes 100-0, but it didn't. So now it should be the sort of thing that passes overwhelmingly, but I've got to be honest, there are a whole lot of Democrats now who look like they're trying to claim that this somehow controversial to say that a baby that's been born alive should be protected. So I'm not going to prognosticate about what the vote will be -- but I know what it should be. It should be indisputably unanimous." What happens on Monday will resonate throughout the world. America -- what we stand for, where we're headed -- has a lot at stake in the answer. If you aren't the type who normally contacts your senators, believe me. Now is the time to make an exception. Our leaders need to hear from you that there are some lines no civilized nation should cross. Killing an innocent, born-alive child is one of them. Join Me in Bossier This Sunday!